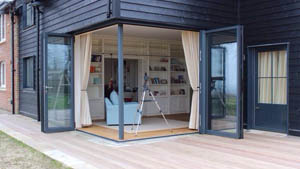 Schuco conservatories consist of various components all perfectly matched to one another. As a result of this variety, the conservatory can be matched individually to the style of your house. 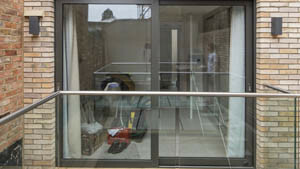 Thermal and moisture-related loading on conservatories requires high-quality building materials. 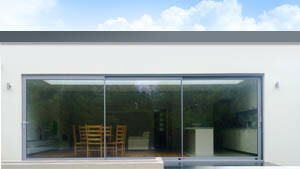 With thermally insulated profiles and glazing of the highest quality, Schuco conservatories meet the requirements of the EnEV energy saving regulations. 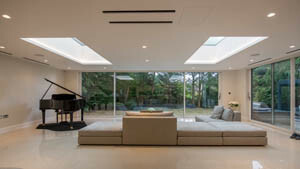 In order that the conservatory does not overheat in summer Schuco offers versatile solar shading options: Roller shutters and external blind systems, Schuco sliding louvres as well as awnings, all of which are perfectly tailored to the conservatory modules. 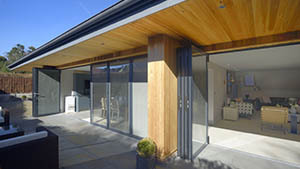 With automatic ventilation systems you can ensure a comfortable indoor temperature when outside temperatures are high. 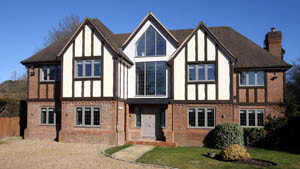 In addition, there is a wide choice of attractive roof windows for climate control available. 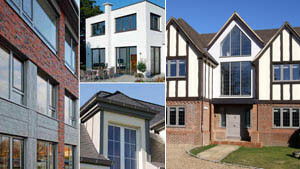 As you can see, there are many reasons to choose a Schuco conservatory. On the one hand, you will experience an oasis of well-being in the garden, on the other hand you will be investing in your property to increase its value. And the best thing is: You can always find room for a Schuco conservatory, for example the green area in front of the living room, a covered terrace or a room integrated from the outset in a newbuild. 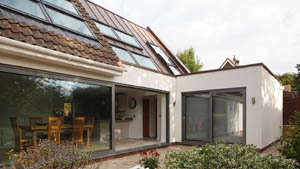 Whether you decide on a small-scale solution or a multi-storey conservatory, with a Schuco conservatory you will enjoy comfort at the highest level and also benefit from generously extended living space. Even if you “only” want a covered seating area in the open air, Schuco can offer you the perfect solution with its terrace roofs. 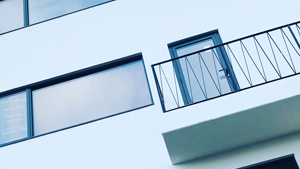 Unlike the ubiquitous wooden pergolas of previous years, which, in conjunction with dark canopies, produced a gloomy and unfriendly atmosphere, Schuco terrace roofs make your terrace appear bright and flooded with light. On account of the timelessly beautiful design, the roof will blend seamlessly into every faÃ§ade and offers effective protection against rain and wind, and also longer residual heat during the evening hours.